Please retrieve the e-mail and confirm your registration. Check your SPAM FOLDER as well! 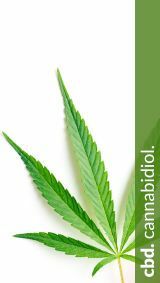 The CBDprime newsletter covers topics surrounding sustainable health. With it, we expand our personal, geobiological service for customers and patients ON SITE with additional current information. We also tell you about new healthy products on the shop. Please retrieve your e-mail and confirm your registration to the CBDprime health station. Please check your SPAM folder as well!